Unearth some of Northumberland’s hidden secrets this half term with our Victorian archaeologists. 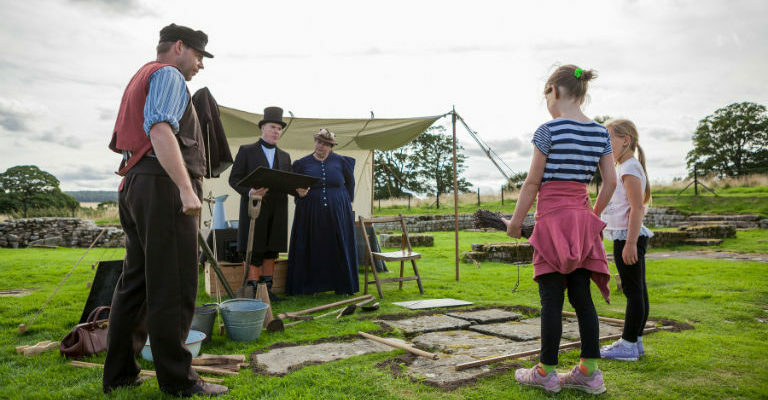 Mini archaeologists will join two Victorian time travellers who helped John Clayton discover Hadrian’s Wall’s Roman remains and ancient artefacts. Find out about the tools used to excavate discoveries, take part in activities to guess what the fragments from the past were and visit our museum to see Roman objects and original archaeology on display. There will also be tours throughout the day with our Victorian characters taking you around area where many of the artefacts were unearthed by the likes of John Clayton and his team of archaeologists.